It has been 35 years since my parents and I first trekked into the iconic Café Adriatico. During that time, it was still a ground-floor restaurant serving good food and a great ambience. To note, my parents were a strictler to Sunday family days – no dates or work on that holy day, everyday. So, our holy family (yeah, I’m an only child) would try one new restaurant at a time within the city or outside, even if it’s like a two hour drive. Café Adriatico was one place we always came back to, especially when planning for the next Sunday’s new restaurant wasn’t accomplished. It was also a “date place” during my adolescent and yuppie days, though note I did not date many. Monogamist, anyone? But it was a staple fine dining place for my wife and I during the courtship years, pretty much eight years before we got married. Also, friends and I will make sure to dine there or just make the trip for their Chocolate Eh!, Mango Jubilee or Crepe Samurai. The late antique dealer and journalist turned restaurateur Larry J. Cruz concocted the idea of opening his first café in Remedios Circle of Malate district, City of Manila, in 1979; I was like second or third year high school then. Larry wanted a place where he and his friends could meet, enjoy good coffee, tasty food and drink while chatting about the day’s news. Upon the recommendation of his father, Emilio “Abe” Aguilar Cruz, Larry named his first restaurant, Café Adriatico, after the street it was on. The café emulated the Parisian sidewalk cafes. 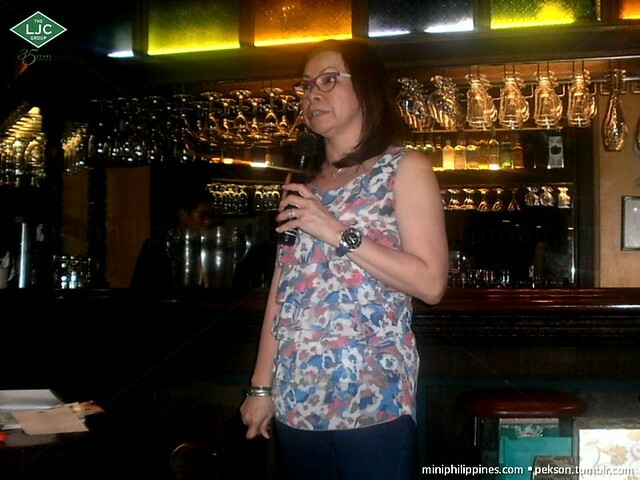 Since its opening, the café became the watering hole for Manila’s who’s who and has remained to be a hub for artists, celebrities, foodies, even politicians, enjoying its all-famous dishes like Spareribs Adobo Rice, Salpicao, Callos, Lola Ising’s Adobo, Knockout Knuckles in garlic and chilies, or a fresh cup of Chocolate Eh!, hot rich Spanish chocolate drink. Speaking of Chocolate Eh! my first time trying it reminded me of my very younger days when my parents and I spent Christmas eve and morning my aunt Fely Pekson’s ancestral home in San Fernando, Pampanga. She’d make sure to buy chocolate blocks and carabao’s milk from the nearby market and lots of ensaymadas and hamon serano in time for our Christmas morning breakfast. After being taught how to cut the chocolate blocks into pieces and cook them on a ceramic vase, it was my role every year to melt the chocolate until it was just thick enough to drink, using a wooden mixer that I’d spin using the two palms of my hand, while mixing it slowly with the carabao’s milk. That’s exactly how Chocolate Eh! tasted. After the success of Café Adriatico, LJC pressed on creating one brand after another. Café Havana came in at the same area across Café Adriatico, a Cuban bar where its patrons can enjoy tapas, hearty meals, mojito, and live Latin music. 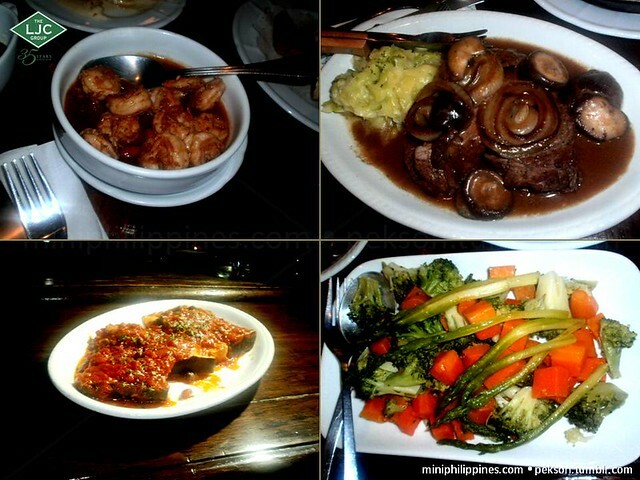 I remember Bistro Remedios opening in Greenhills and that was another Sunday trek for the family of three. There was also Larry’s Cafe and Bar, a cozy place where one can unwind, enjoy continental dishes and a wide range of wines and spirits. Abé opened up in Serendra (I think that was the first location) which was a tribute to the memory of Larry’s dad, Emilio “Abé” Aguilar Cruz, serving cuisine from the province of Pampanga (where I was born) or Capampangan. 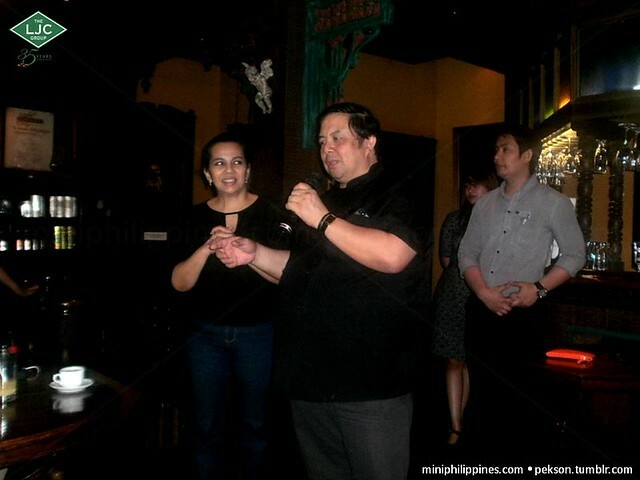 Eventually, other restaurants opened up like Fely J’s Kitchen, dedicated to the memory of Larry’s mom, Felicidad De Jesus-Cruz, offering Asian and home cooking; Lorenzo’s Way, a tribute to Larry J. Cruz featuring dishes that Larry himself conceptualized and that became favorites in the LJC restaurants, and his personal preferences such as baklava, paellas and tapas; Abé’s Farm, a restaurant, resort, accommodations, spa and museum nestled at the foothills of Mt. Arayat. Akuwa (Yemeni Oxtail), oxtail stew cooked with special spice; and Spareribs Habanera, baked spareribs served with a unique guava sauce. 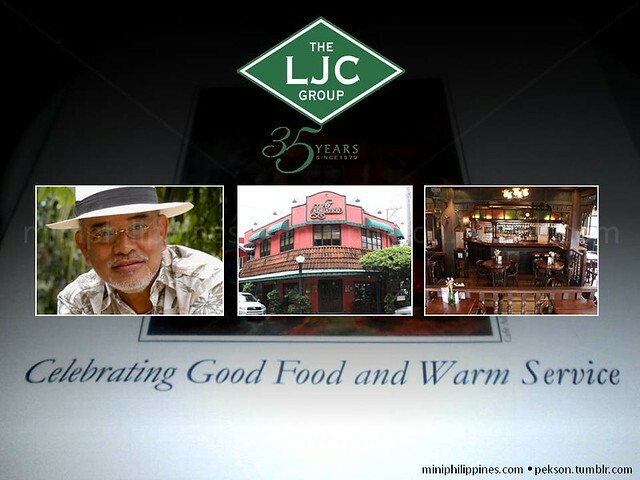 Today, the LJC Group is run by Larry’s daughter Lorna Ambas and the consistency of taste for all its sumptuous food is managed by Chef Lizares. To celebrate 35 years, they invited bloggers in one night of fine dining experience. Oh, the food was magnificent! It brought back memories of my late father, my NYC mom and I, and even the dates with my wife. Lorna loved the noise and banter of the bloggers which she said was a far cry from traditional media being amongst themselves in small groups. We were all given the biography book of Larry Cruz and a medium-sized decadent chocolate cake. I went home in divine acclamation of Café Adriatico and Lorna’s passion to continue what her dad started. If anyone would like to make their reservations or hire their catering services, you can call their Manila telephone number at 522-0403 or go to their website at http://www.ljcrestaurants.com.ph. While you’re in to it, like their Facebook Page at http://www.facebook.com/LJCRestaurantGroup. The flagship of the LJC Restaurant Group, Café Adriatico serves a full menu of Filipino, Spanish and continental fare. Its menu also includes a variety of light options such as salads, sandwiches, omelettes and fondues. Among the Café’s specialties are: Chicken ala Kiev, Spareribs Adobo, Salpicao Rice, Callos, Lengua Estufada, Classic Café Adriatico Burger, Pancit Palabok and authentic Spanish hot chocolate “Chocolate Eh”. The restaurant at the Remedios Circle is open from 7am to 2am on weekdays and 7am to 4am on weekends. Cafe Adriatico has branches at Malate, Gateway Mall and SM Mall of Asia. The tapas way of life and the Cuban mojito typify the dining experience at Café Havana, Larry J. Cruz’s homage to Cuban life and everything people associate it with: hearty dishes that are easy on the pocket, drinks that go well with your food and cool you down on a sultry night. At Café Havana at Greenbelt 3, you can indulge your passion for things Cuban, whether it is for salsa and rumba, pan-fried Spanish chorizo and paella, a hand-rolled Julieta, or just plain fun. Enjoy live Latin music nightly and a mouth-watering lunch buffet of international dishes served Mondays to Fridays, 11am to 2pm. 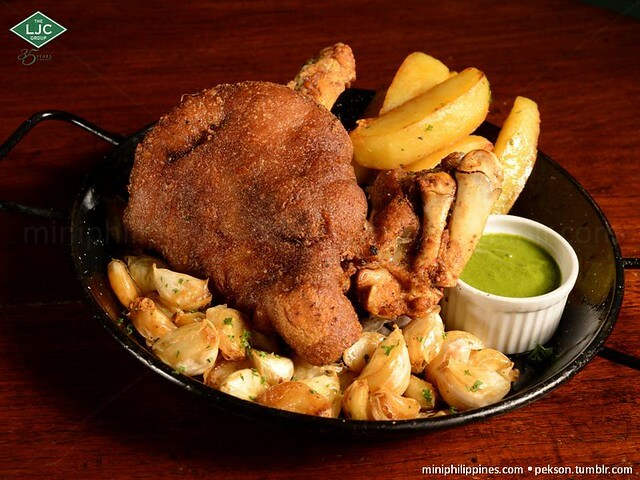 Experience great country cooking in a chic bistro setting at Bistro Remedios. It is the best dining experience foreign guests should try if they are looking for local home cooking. It also has function rooms for private dining and meetings. Bistro Remedios is located at the Remedios Circle in Malate, Manila. 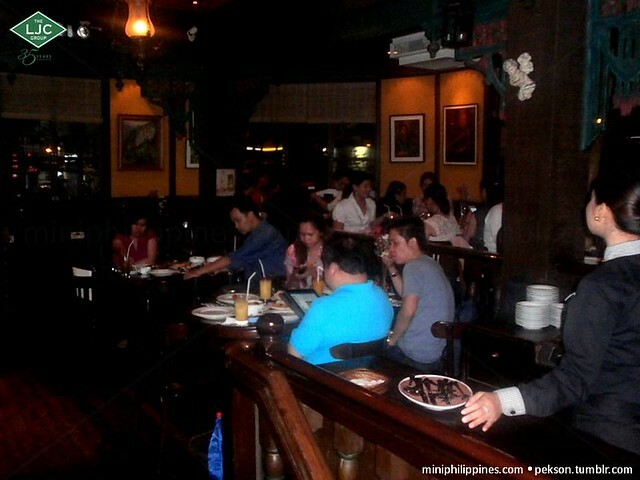 Larry’s Café and Bar in Serendra is a cozy place to dine or to unwind. Its continental cuisine and wide selection of cocktails and beverages are perfect anytime of the day or to prep up for a night of partying on the town. Larry’s Café and Bar also offers breakfast and shisha. Fely J’s Kitchen, a restaurant dedicated to the memory of Felicidad de Jesus-Cruz, mother of the LJC Founder Larry J. Cruz, features Fely J’s treasured recipes, which she picked up in her travels. The restaurant offers a variety of Filipino and Asian dishes served Fely J’s style: fresh, natural and attractive. The restaurant also has function rooms for private meetings and get-togethers. Fely J’s Kitchen is located at the 2nd level of Greenbelt 5. Abé is the restaurant dedicated to the memory of the artist-writer, gourmet and bon vivant E. Aguilar “Abe” Cruz, father of the late Larry Cruz. The restaurant serves traditional Filipino food, mostly Kapampangan, and gourmet dishes inspired by Abe’s travels around the world. Its concept and design provide the ideal setting for friends and family who wish to dine comfortably and have a good time. Abe has branches in Serendra, Trinoma, SM Mall of Asia, Alabang Town Center, and SM Megamall. Lorenzo’s Way is an experience of LJC’s legacy of good food and great service. The restaurant serves dishes that Larry himself conceptualized and that became favorites in the LJC chain. Lorenzo’s Way has function rooms at the Bonifacio High Street. 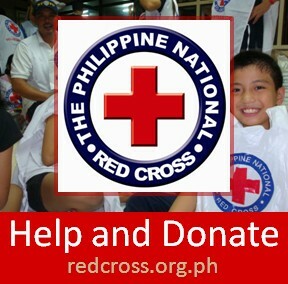 It also has a branch at Greenbelt 5. Abe’s Farm is a lifestyle destination nestled at the foothills of Mt. Arayat in the heart of Pampanga. 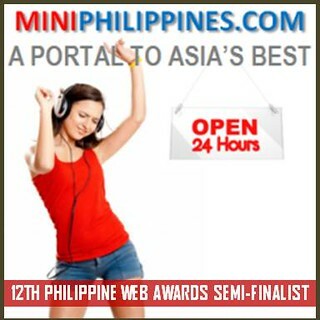 Guests may relax and stay overnight in air conditioned Ifugao huts or regular huts; have a therapeutic spa treatment, and enjoy the culinary delights of the gourmet province of Pampanga. Abé’s Farm is located in the town of Magalang where the famed writer, artist and father of LJC, E. Aguilar Cruz was born. It also has a museum featuring the works of Abé. Abé’s Farm is available for wedding banquets and other social and corporate functions. The LJC Restaurant Group became a popular purveyor of Filipino and international dishes, bringing favorites from its signature restaurants to the comforts of your home or office. With over 30 years of experience in food and beverage service, the LJC Group Catering Service draws extensively from the menus of celebrated and acclaimed LJC brands such as Café Adriatico, Bistro Remedios, Abé, Café Havana, Fely J’s Kitchen, Larry’s Café and Bar, Lorenzo’s Way, and Abe’s Farm. Sources: LJC PR, LJC Facebook Page, Wikipedia. Photos by @raffypekson and LJC Group. Addendum: This has got to be the best Crispy Pata I have ever tasted! 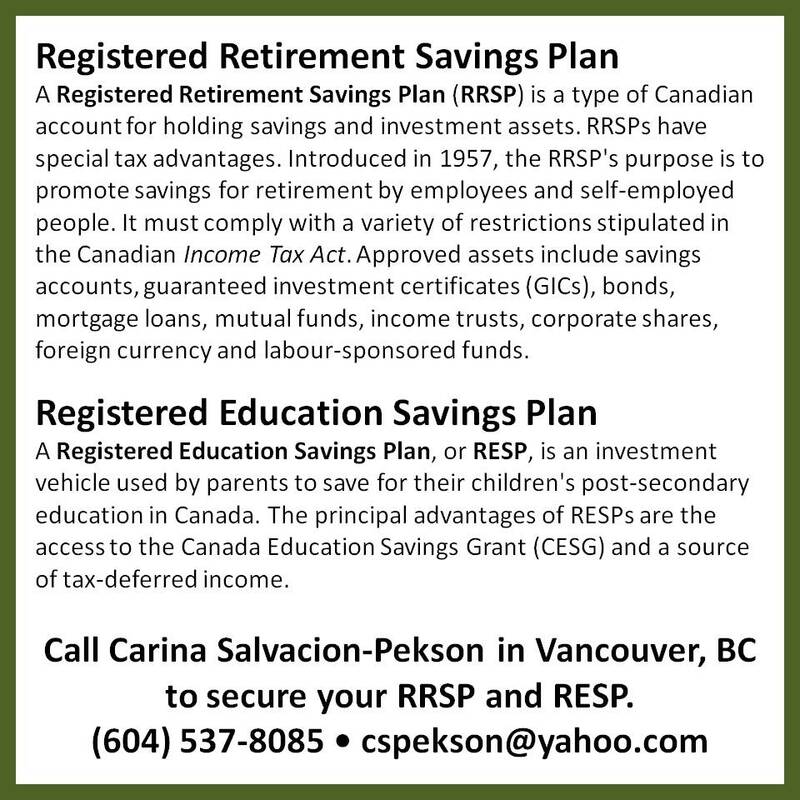 I just had to post it before ending this article.